As the world awaits the highly-anticipated summit between the U.S. and North Korea to discuss North Korea’s nuclear disarmament, CNN’s Fareed Zakaria, host of the global public affairs program Fareed Zakaria GPS, will host a new, primetime special, The Two Faces of Kim Jong Un. The one-hour special will explore both the dramatic changes happening within the so-called Hermit Kingdom, and the unprecedented recent actions of North Korea’s mysterious and brutal dictator. The primetime special will premiere on CNN/U.S. and CNN International on Sunday, June 10 at 8:00pm; The Two Faces of Kim Jong Un encores at 11:00pm Eastern on CNN/U.S. Zakaria delves into the biography of Kim Jong Un for clues as to what to expect from the high-stakes Trump-Kim meeting. Though Donald Trump has referred to Kim as ‘honorable,’ Kim is presumed responsible for the poison assassination of his half-brother, the execution of his uncle by firing squad, and having ordered the deaths of five out of seven of his father’s pallbearers. The ruthless leader’s legendary cruelty even includes accusations of executions via anti-aircraft weapons. Kim has also continued his father’s practice of illegitimate detentions of foreign nationals. In 2017, one such detained American college student was revealed to have been essentially killed while in custody. Most crucially, Kim has achieved success in developing both nuclear weapons and missile capabilities that can deliver those weapons to other continents. Yet, in only the first six months of 2018, Kim has seemed determined to present a different face to the world: sending his sister as a diplomatic emissary to the 2018 Winter Olympics in South Korea, releasing three American prisoners, taking meetings with the South Korean and Chinese presidents, and publicly suggesting a desire to ‘denuclearize.’ Inside North Korea, other changes are also happening: million-dollar apartments are under construction, Mercedes Benzes roll down some streets, and some North Koreans are able to express new personal freedoms in dress and behavior. 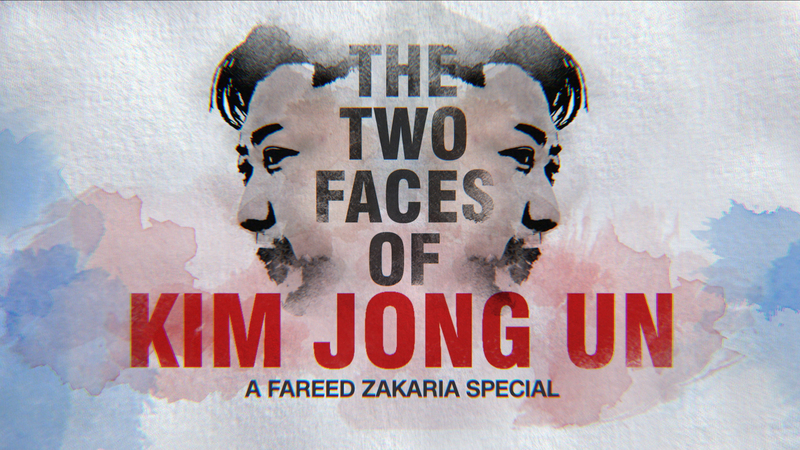 During the June 10, 2018, premiere on CNN and CNN International, The Two Faces of Kim Jong Un will stream live for subscribers via CNNgo (www.CNN.com/go and via CNNgo apps for AppleTV, Roku, Amazon Fire, Samsung Smart TV, and Android TV) and on the CNN mobile apps for iOS and Android. The special will also be available on demand via cable/satellite systems, CNNgo platforms, and CNN mobile apps, beginning Monday, June 11, 2018.